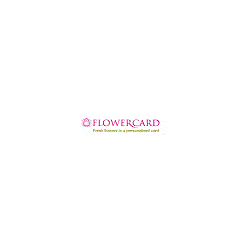 Shopping the easyfundraising way with Flowercard, could not be easier. Follow the instructions below, and create an account today to start supporting a cause or charity of your choice. Save money and get free donations! Right now Flowercard has these great deals for easyfundraising shoppers. Just click through to Flowercard using the buttons below, to make sure your donations are tracked when you shop. Gorgeous gifts of fresh flowers in a personalised card, for every special occasion. From a birthday card to wedding anniversary cards, at Flowercard they have a wide selection of cards and flowers for you to send your loved ones. Their handpicked fresh flowers come from the beautiful, balmy Channel Island of Guernsey, famous for the quality of its blooms and are professionally arranged by our Florists to ensure your gift wows every time. Choose from one of their pre-made designs or choose to make your own card and flower combination using their custom card facility. Once you’ve picked the perfect combination, personalise your flowercard, bouquet or caddy with free personalised messaging.